The Board and Advisory Council of AEGIS, the Africa Europe Group for Interdisciplinary Studies, fully support our ASA colleagues in the United States and share their great worries, as expressed in their statement, which we reproduce below. We are sure we also speak on behalf of our 34 Members, all African Studies Centres and Institutes in Europe, and on behalf of many thousands of Africanist scholars all over Europe. We wish to express our solidarity for our African Studies Association (ASA) colleagues in the USA. As an association of European-based Africanists we are profoundly opposed to policies or actions anywhere that exclude or inhibit students and scholars at any level from undertaking learning, teaching or research on the basis of their race, religion, sexual orientation, physical ability or place of birth. These concerns extend to such practices of discrimination in a much wider sense. Joining a thankfully growing range of voices across the globe, we strongly assert our ethos of welcome and inclusion in our own institutions, and stand in solidarity with all campaigns of welcome and inclusion everywhere. Prof. Clara Carvalho, President of AEGIS (Lisbon), Prof. Ton Dietz (Leiden), Prof. Till Förster (Basel), Prof. Amanda Hammar (Kopenhagen), Dr Emmanuelle Kadya Tall (Paris). Prof. Ulf Engel (Leipzig), Prof. Leo de Haan (ISS The Hague), Prof. Paul Nugent (Edinburgh), Prof. Alessandro Triulzi (Naples). “On behalf of its members, the Board of Directors of the African Studies Association demands immediate reversal of the recent Executive Order barring citizens from Iran, Iraq, Libya, Somalia, Sudan, Syria, and Yemen entry for 90 days into the United States; prohibiting all refugees from entering the United States for 120 days; and banning Syrian refugees for an indefinite period of time. This order and its draconian enforcement are an affront to the ethical principles of our organization, to constitutionalism and the rule of law of the United States, and to basic tenets of international law. For the past 60 years, the African Studies Association, the premier academic organization for scholars of Africa, has been committed to fostering greater knowledge and understanding of the African continent through encouraging the study of Africa, supporting research by Africans, and promoting collaboration among Africanists within the United States and abroad. Our ethical guidelines include a commitment to defending academic freedom and drawing attention to acts and events that violate the rights of people and their communities. As an association whose central mission is dedicated to understanding the complexity of the African continent and promoting academic exchange between scholars of the African continent and the United States, we deplore the arbitrary and unwarranted application of the executive order, which has a significant impact on the people of Africa and scholars who study the continent. We are particularly concerned about the attack on academic freedom resulting from the travel limitations imposed on foreign nationals from the seven named countries. This ban directly impacts students and faculty at our universities, scholarly partners from these countries and ASA members who conduct research there. The fact that all seven are majority Muslim countries and that the rhetoric preceding the exclusion specifically talked about a ban of Muslims suggest that US policy is targeting Muslims. This creates an image of bias and hostility that undermines efforts to build understanding and cooperation. It also blatantly disregards constitutional protections of freedom of religion enshrined in the Bill of Rights, and makes those of us who work abroad less safe. The four-month ban on all refugees is inexcusable. A large portion of the world’s 21.3 million refugees comes from Africa, and African countries themselves host over 26 percent of the world’s refugees. The decision of the US to reject all refugees adds to the already disproportionate burden on African countries struggling to support the millions of refugees in their territories. Particularly offensive has been the equation of refugees with terrorism in much of the rhetoric surrounding this executive order. Refugees are by definition individuals escaping war and persecution. Over half of refugees are under the age of 18, and many have themselves been the victims of terrorism. The ASA includes many scholars who have worked in countries with autocratic governments, and who conduct research on authoritarianism, and we are particularly troubled by the signs of emerging authoritarian practices in the United States. We are alarmed by the administration’s attacks on the free press and the harassment of civil society. 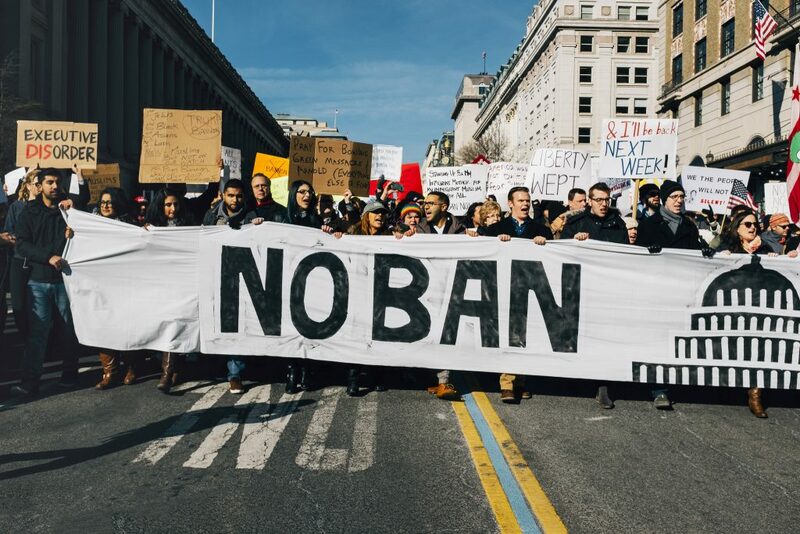 This executive order targets people based on race, religion, and national origin and is a form of scapegoating commonly associated with authoritarian regimes. The failure to adequately consult with Congress on this order and the disregard for court rulings limiting its impact represent an overreach of executive authority that undermines democracy. We implore representatives of the US government to respect the diversity that is America’s strength and to protect the principles of democratic governance that are currently under attack. History shows that early opposition to scapegoating and exclusion are essential to preventing dangerous and violent violations of human rights. Researcher at CEI-IUL. Auxiliary Professor at the Department of Anthropology at ISCTE-IUL. Previously: invited Professor at the Université de Lille (2002-2003) and Brown University (2004). Research interests: the recreation of tradition in Guinea-Bissau, as well as gender and global health issues.